We collaborate on ways to better engage and build more meaningful relationships with our audiences and encourage them to become involved in a wider range of cultural experiences. We have worked closely with Morris Hargreaves McIntyre (MHM) since 2009 to develop new ways of understanding and thinking about audiences. The MHM-NGCV Levels of Engagment Model was developed in 2010 and this and MHM's Culture Segments have been tested through a series of research projects. 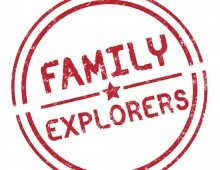 One of our research projects, Family Explorers, became a regional public campaign in October July 2014, called Family Explorers North East and we were funded by the Digital R&D Fund for the Arts for our Unusual Suspects project until December 2015, which explored new ways of sharing data and engaging audiences. 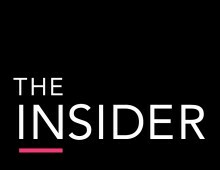 We are building on the success of that work with The Insider. Details of all our research and projects are available through the links on this page. Levels of Engagement is a model demonstrating different types and levels of audience engagement with cultural organisations and offers. The research identified ways of encouraging and supporting movement across the levels, building cultural confidence and deepening relationships with audiences. This model has been applied in subsequent research projects and augmented by the use of MHM's Culture Segments. Families are an audience which all NGCV members want to engage with more effectively. Two learning and research projects have investigated means of improving engagement, relationships and confidence to get involved using initially MHM's Levels of Engagement and following on with this and the Culture Segments model: Culture Window and Family Explorers. From July 2014, this successful approach has underpinned a public Family Explorers North East campaign, which all NGCV members are involved in, as well as other venues and festivals in the region. The arts and culture are often accused of being for an elite or of simply playing to one narrow sector of society, the ‘usual suspects’. Most marketing initiatives do not broaden the audience, they simply engage with the most confident and already engaged people. Over time this means that the vast majority of people who are less frequent visitors hear from us less and less and eventually, not at all, until they stop coming altogether. NGCV, MHM and Tariff Street (a technology partner) are exploring ways to better engage the ‘unusual suspects’, to renew and deepen their engagement with arts and culture, strengthen their relationship with our institutions and significantly increase the value they derive from our venues and events. The Unusual Suspects research project was funded in 2014-15 by the Digital R&D Fund for the Arts and underpins our ongoing work on sharing data and new ways of communicating and engaging our audiences through The Insider project, alongside the Family Explorers North East project. To find out more about our collaborative work, download our research findings or find out more about the research projects we have and are undertaking by clicking on the links below. 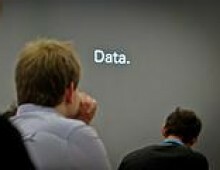 The Insider is an ambitious shared data and audience development project, based on the principle that rather than pursuing individual market share, cultural organisations operate in a shared market and that sharing data will grow the market for everyone. This research involved pooling and profiling audience data from 9 cultural partners. We used these insights to inform campaigns to test the best ways to re-engage infrequent and lapsed attenders and encourage them to participate in more cultural activities.